Neusa is a font created by Mariya V. Pigoulevskaya . 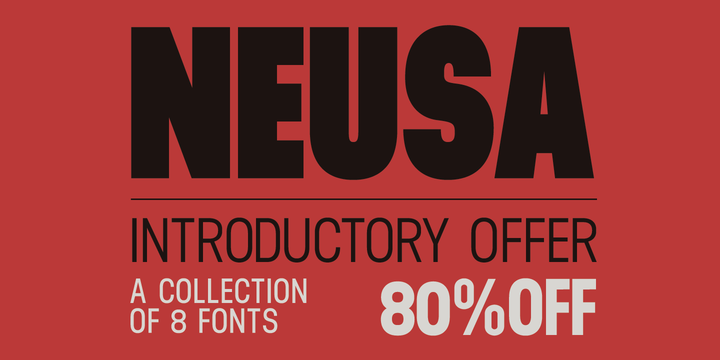 Neusa is a font geometric condensed . This font family comes in 8 weights. Is designed as a text based font with strong display characteristics.